Why Should You Continue to Suffer with Back or Neck Pain? At the NENA Comprehensive Spine Program, we have many levels of treatment options available to alleviate discomfort. Whether you have a slipped disc or have had chronic, nagging pain, we can treat all spine-related problems. After a complete medical history and physical examination, we generally begin with conservative treatment, such as anti-inflammatory medications, muscle relaxants, nerve stabilizers or prescription pain patches. If needed, our physiatrists work hand in hand with rehabilitation trained chiropractors based in our practice, a unique and innovative approach in this region. When appropriate, referrals will be made to physical therapists in your community. 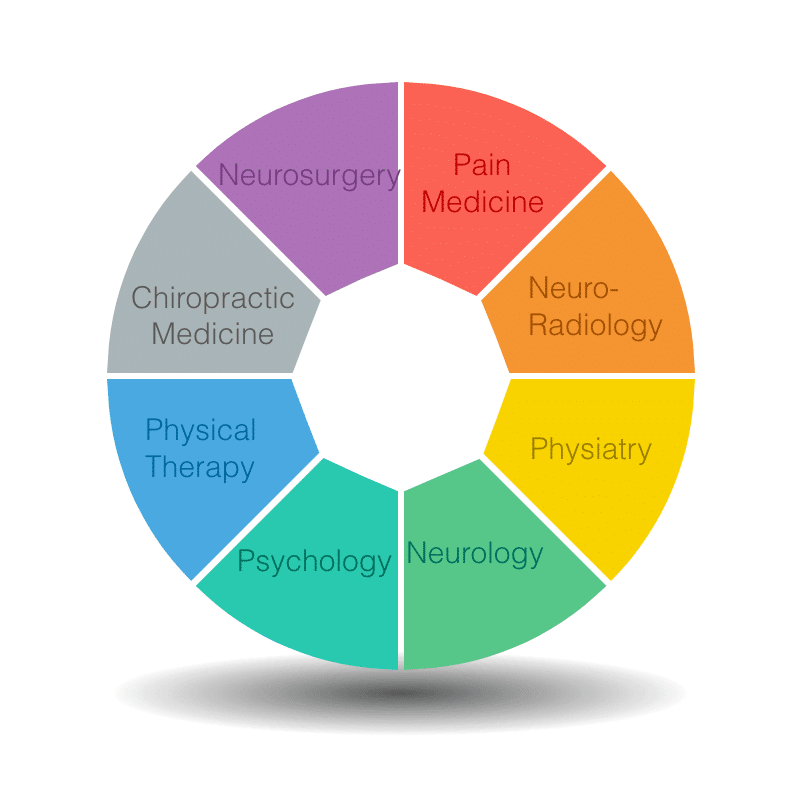 We have a unique, interdisciplinary team approach, working closely not only with our own specialists, but also with board-certified neuro-radiologists to provide you with a comprehensive diagnosis and treatment plan. As necessary, we will order diagnostic tests, such as x-rays, CT scans, MRIs or nerve studies. Many people find relief from pain through non-surgical interventional procedures. Fluoroscopic-guided epidural or facet joint injections can be extremely effective in relieving chronic pain, sometimes permanently, and various types of nerve blocks may be used to avoid surgery. When non-surgical options have been unsuccessful, surgical treatment can decompress the nerves, stabilize the spine and help to correct spinal deformities. Some spinal procedures can be done with minimally invasive techniques, such as microdiscectomy and laminectomy with spinal fusion. Degenerative spondylolisthesis, spinal instability, sciatica or radiation of pain into the extremities are common disorders that respond very well to surgical intervention. We provide a full spectrum of spine care, from conservative measures and pain management to minimally invasive procedures and large scale reconstruction of spinal deformity.